Aspirants on the platform of the All Progressives Congress (APC) in Ekiti State, on Monday protested over adoption of indirect system for the conduct of National and State Assembly primaries that would hold on Tuesday. The NWC had last week released the guidelines for the conduct of the primaries in all the 36 States and the Federal Capital Territory and direct primary was specifically slated for Ekiti. But the Ekiti APC SWC at its emergency meeting of October 1, 2018 took a decision that ran contrary to what the Oshiomhole-led NWC had directed, by opting for indirect system. A statement signed by its State Publicity Secretary, Ade Ajayi, cited security challenges to justify the action. 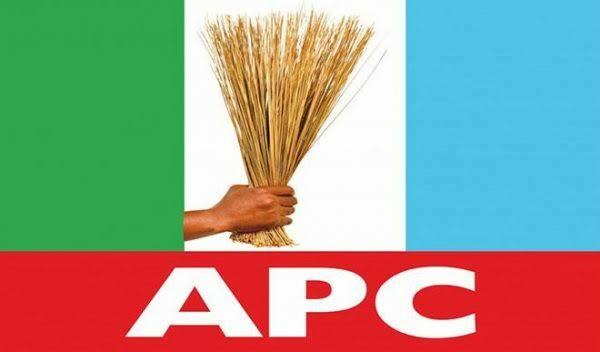 The statement reads: “The Ekiti State APC had unanimously adopted indirect primary for the conduct of state and national assembly primaries scheduled for October 2, 3 and 4 respectively. “this decision was taken in line with the party’s constitution and having considered the security challenges of the state presently”. Ajayi said the motion for the adoption of indirect was moved by an ex-officio member, Mr Akinleye Michael and seconded by the party’s Chairman in Oye Council, Mr Olumide Adeyanju. But countering the position of the NWC, a senatorial aspirant in Ekiti North district, Dr. Olusegun Osinkolu and a House of Representatives aspirant in Ekiti North Central Federal Constituency II, Akinlayo Kolawole, urged the NWC not to bow to confrontation over the use of direct system. Osinkolu made efforts to personally visited the Paul Omotoso-led SWC in Ado Ekiti on Monday to protest over the change of modality for the conduct of the primary, but the office was under lock and key. The aspirant said it sounded so unfathomable that the party could take a position that negated the preference of the national body, describing this as a great erosion of the democratic hierarchy in APC and party supremacy. “The Oshomhole led executive was very clear that primary should be used. I don’t know where this actually came from. How could they have changed the rules in the middle of the game? “Since that pronouncement was made in Abuja, we have been preparing towards that and for them to change now and said it was indirect primary was not only anti-democratic but sent a signal that the process could be mismanaged if not properly guarded. “We call on the NWC not to waver or succumb to intimidation that indirect primary will be used and any attempt to adopt such will be challenged in the court of law”, he stated. Also, a House of Representatives contender, Mr. Akinlayo Kolawole, appealed to the National Chairman of the party, Com. Adams Oshimhole to retain Direct primary for the State. The primary for the House of Representatives in APC will hold on Wednesday, October 3. The aspirant begged Oshiomhole not to be swayed by clandestine pressure coming from some quarters that indirect primary should be allowed in Ekiti, describing such agitation as an attempt to impose candidates, who can’t win elections on the people. Kolawole, who is eyeing the National Assembly seat to represent Ekiti North Federal constituency II, advised the party to consolidate on the gains of the victory of the July 14 governorship election won by Dr. Kayode Fayemi, by being fair to all aspirants in the impending primaries, saying only Direct primary can guarantee such to party members. some people’s powers to impose their surrogates against the people’s preferences. Kolawole said Oshiomhole upon assumption of office promised to do justice to even the least rated person in the party, saying the best way the party could be fair to all aspirants, is by conducting free, fair and unblemished primaries through direct option, in any constituency or senatorial district, where consensus could not be breached. “Direct Primary remains the best way to pick a candidate where there is crisis on consensus option, and that must come to play in Ekiti to prevent protest votes.